Dr. Kang is one of the best examples of what education, compassion, and hard work can accomplish. His commitment to his community, as wells as helping those with the most challenging dental situations, gives him the greatest satisfaction. His compassion has led him to help other people in less fortunate countries and is part of a unique medical missionary team. This team has been taking missionary trips to various countries for over ten years. Although a member of his church since 1996, he joined the missionary team in 2006, helping to serve in Costa Rica in 2006 and Yucatan, Mexico in 2007 and 2008 and Peru in 2010 and 2014. He has been delivering cosmetic, implant, orthodontic and functional solutions to patients for eighteen years. His philosophy of “making it right” and “managing just about anything” has won him the respect of his patients, their families and his colleagues. In addition, Dr. Kang uses his expertise in helping you understand how to prevent the ‘bigger’ problems from happening or re-occurring. Dr. Kang graduated from Baylor College of Dentistry in 1998. He has been helping patients find the ‘joy’ of eating and smiling again with dental implants since 1997. Using his expertise in implant dentistry, he has discovered the best method of ‘rescuing’ the denture patient and those with debilitated teeth needing complete reconstruction. For those ‘fearful’ patients, he offers oral conscious sedation, and all steps for treatment are performed in the same office. This, combined with advanced techniques, allows even the most compromised individual to return to a life of enjoying dental health. He is a fellow of International Congress of Oral Implantologists (ICOI), one of the highest international designations for skill in surgery and restoration of dental implants; the most life changing treatment that dentistry offers. He has lectured extensively on dental implants and various topics on implant dentistry. He also teaches other dentists implant dentistry, including live hands-on implant surgeries. For his patients’ benefit, advanced learning and the implementation of new technologies at the leading edge of dentistry is a constant for Dr. Kang and his office of professionals. His friendly team is known for their down to earth and non-technical communication style making complex dentistry easy to understand. Dr. Kang also is also certifed in the use of ClearCorrect Invisible Braces. ClearCorrect is a form of orthodontics involving no wires or brackets, straightening your teeth using a series of clear, custom, removable aligners. Each aligner moves your teeth just a little bit at a time until you eventually get straight teeth. 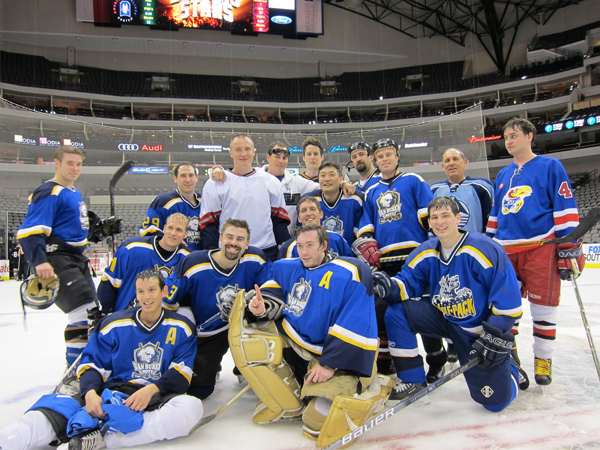 Dr. Kang enjoys sports, currently, he is actively playing year round on an adult ice hockey league. Dr. Ka E. Park was raised in Dallas, Texas. She received her Bachelor’s degree in biology at Univesity of Texas in Dallas. She received her Doctor of Dental Medicine degree at Tufts University School of Dental Medicine in Boston, Massachusetts. Following her doctorate degree, Dr. Park is attending continuing education courses to ensure that she is current on the latest procedures and technology. Dr. Park is dedicated to delivering healthy smiles to you and your family. She makes every effort possible to create a comfortable environment for her patients everyday. 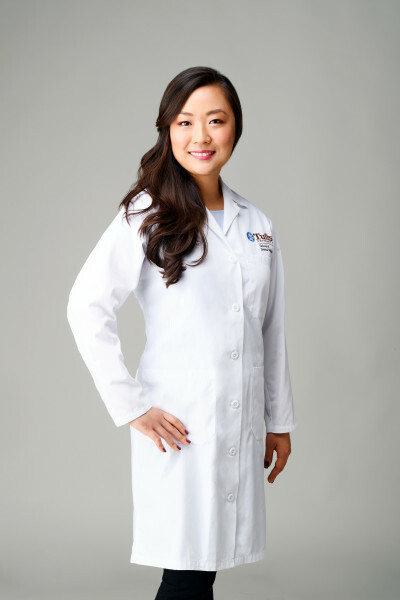 Dr. Park enjoys playing tennis, practicing pilates, and walking her pomeranian named Ari on her days off. Dr. Park would like to invite you and your family to visit her today to receive reliable dental care! Dr. Ka Park is currently a member of the American Dental Association and Texas Dental Association.